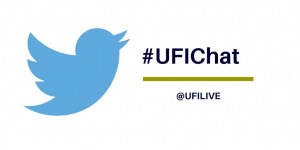 Join the the #UFIchat with questions around the exhibition industry. We will use our community to address your issues. When: 24 May 2018 at: 6:00pm Central European time, 12pm Eastern (US) Central time. Community Building – a follow up conversation with #ufiverona closing keynote speaker Francis Friedman, Thursday May 24, 9am Vegas, 12:00pm New York, 5pm London, 6pm Paris. Looking ahead to future proof events, what can show organizers do now to prepare and remain relevant, competitive, and financially successful in their transition to the digital future? One solution is community building. Community is defined as a body of persons of common and especially professional interests scattered through a larger society. 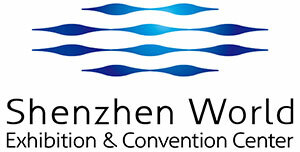 Most trade shows are the annual gathering places of industry communities. 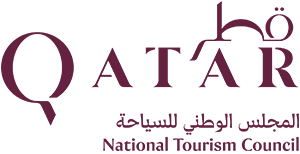 Exhibitions and trade fairs can no longer be live directories. To survive and thrive, show organizers will need to be the ones who take online to offline (live) to online engagement all year long, not just a couple of months before a show and one month after. Join us on #UFIChat Thursday, May 24 at 12pm EST, 18:00 Paris along with Francis Friedman, President of Time & Place Strategies, the closing keynote speaker at the UFI European Conference. Bring your ideas on how we can better build and strengthen the ties with our communities and keep conversations going year-round. April 2018 #UFIChat, Reverse Mentoring – will it work for your organization? Here is is the overview. December 2017 #UFIChat, Global Exhibitor Insights Study and Exhibitor Net Promoter Scores (NPS). Here is the overview. October 2017 #UFIChat, Apple changes to its App guidelines will affect event App strategies substantially. Here is the overview. September 2017 #UFIChat, Sustainable Growth – smart exhibitions with #NGLgrant winner. Here is the overview. 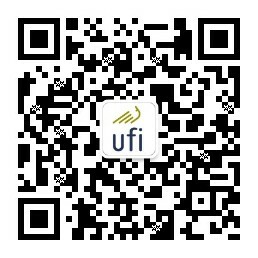 August 2017 #UFIChat, UFI Global Exhibition Barometer – latest findings. Here is the overview. July 2017 #UFIChat, Raising the Odds – Pressures and Profits in the Exhibition Industry. Here is the overview. June 2017 #UFIChat, Why we need Global Exhibitions Day! Here is the overview. April 2017 #UFIChat, What do you think is the future of Exhibition? March 2017 #UFIChat, Educating the next generation of exhibition professionals with Joyce DiMascio @dimasciojo from EEAA, Farokh Shahabi @exavir #NGLgrant winner 2016 and Angela Herberholz @A_Herberholz from UFI. Here is the overview. February 2017 #UFIChat , 2017 Industry trends and their possible impact on the global exhibition industry with Kai Hattendorf, Danica Tormohlen @DanicaTormohlen from Trade Show Executive @TradeShowExec (USA), Octavio Neto, @octavinhoneto CEO of Grupo Radar @portalradar (Brazil) and Tom Hall from Exhibition World @ExhibitionWorld (UK). Here is the overview. January 2017 #UFIChat with Kai Hattendorf (@kaihattendorf), MD & CEO of UFI, Glenn Hanson (@GlennHBPA), President & CEO of BPA Worldwide, Harald Koetter, Director of PR & Trade Fairs Germany Division at AUMA and MD of FKM, the German organisation for auditing exhibition data and other UFI-member experts, here is the overview. November 2016 #UFIChat with Mark Brewster from @explori and @chris_druart, UFI Research Manager about the Global Visitor Insights report, here is the overview. October 2016 #UFIChat with @marcogiberti, Founder & CEO, Vesuvio Ventures (USA), @alevental, Co-Founder and President of Feathr (USA) and @AidanAugustin, Co-Founder and President of Feathr (USA), here is the overview. September 2016 #UFIChat with the #NGLGrant winners, here is the overview.